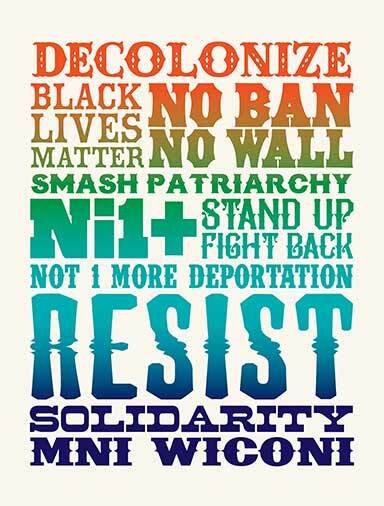 Jesus has reworked his “Stop the Raids” silkscreen print into a new People’s History Poster about the youth-led resistance to immigration raids. 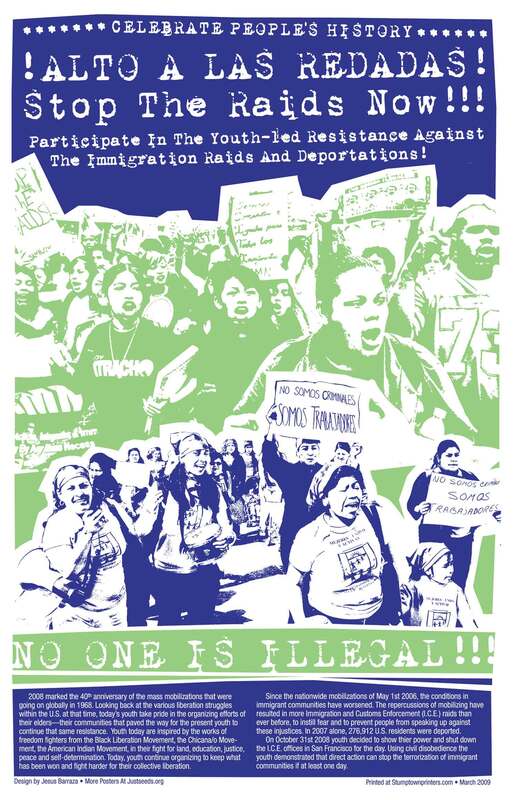 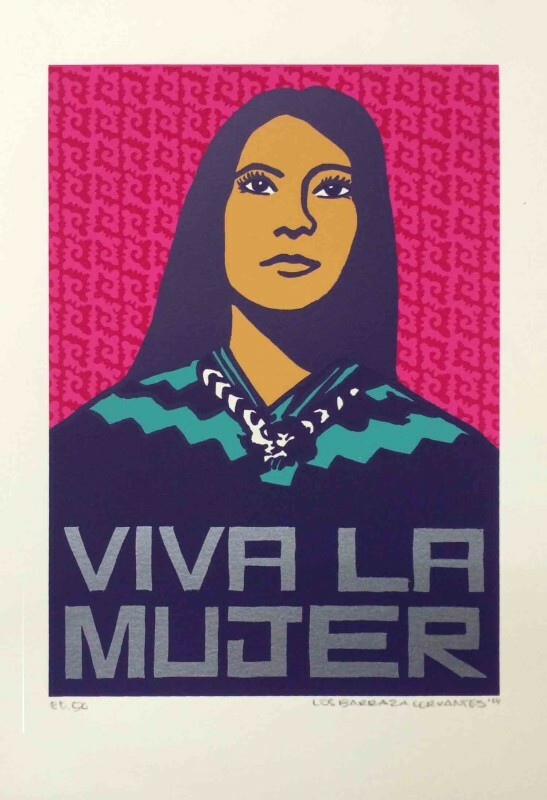 Inspired by the October 31st, 2008 youth-led organizing effort in San Francisco that called for an immediate stop to the ICE (Immigration and Customs Enforcement) Raids targeting undocumented immigrants, this CPH poster celebrates the important role of youth organizing in recent resistance to attacks on immigrants and their communities. 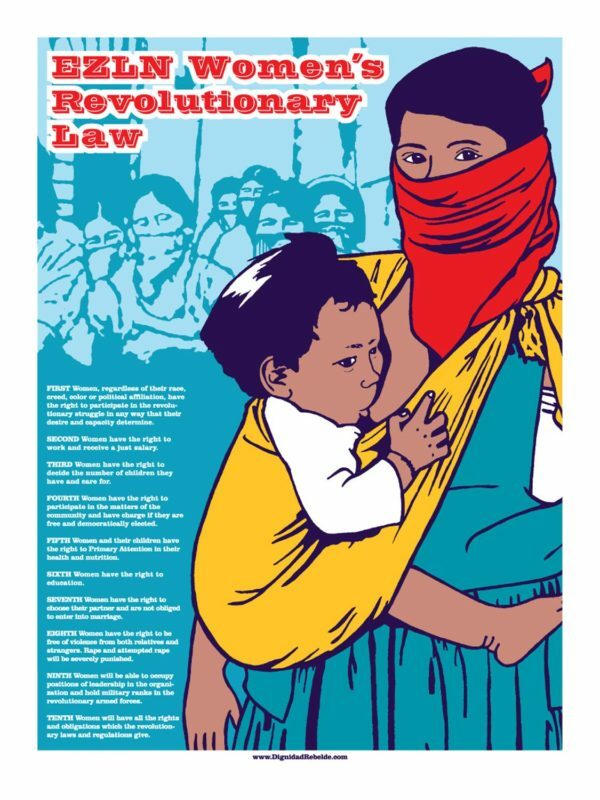 This is #55 in the Celebrate People’s History Poster Series.